Musculoskeletal injuries are a major public health problem globally, contributing a large burden of disability and suffering. This burden could be considerably lowered by implementation of affordable and sustainable strategies to strengthen orthopaedic trauma care, especially in low- and middle-income countries. 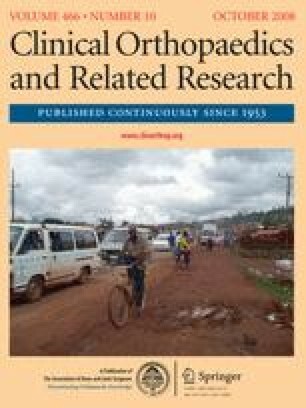 This article summarizes the global burden of musculoskeletal injuries and provides several examples of successful programs that have improved care of injuries in health facilities in low- and middle-income countries. Finally, it discusses WHO efforts to build on the country experiences and to make progress in lowering the burden of musculoskeletal injuries globally. The author certifies that he has no commercial associations (e.g., consultancies, stock ownership, equity interest, patent/licensing arrangements, etc.) that might pose a conflict of interest in connection with the submitted article. Presented in part at the ABJS/Carl T. Brighton Workshop on Musculoskeletal Trauma in Low and Middle Income Countries, Ahmedabad, India, December 11–14, 2007. Disclaimer: The authors are staff members of the World Health Organization. The authors alone are responsible for the views expressed in this publication and they do not necessarily represent the decisions or policies of the World Health Organization. World Health Organization. Global burden of disease project 2002. Available at: http://www.who.int/healthinfo/bodproject/en/index.html. Accessed July 28, 2008. World Health Organization. Integrated management of emergency and essential surgical care (IMEESC) tool kit. Available at: http://www.who.int/surgery/publications/imeesc/en/index.html. Accessed December 3, 2007.